Examining the effects of multiple components of pollen deposition (varying according to quantity, source and timing) and pollen removal on key floral traits in Sabatia angularis, Spigler demonstrates the highly modulated responses of floral display and longevity to pollen deposition. Floral longevity measured as time (d) until wilt of stigma (grey bars) and corolla (white bars), under different pollination conditions. 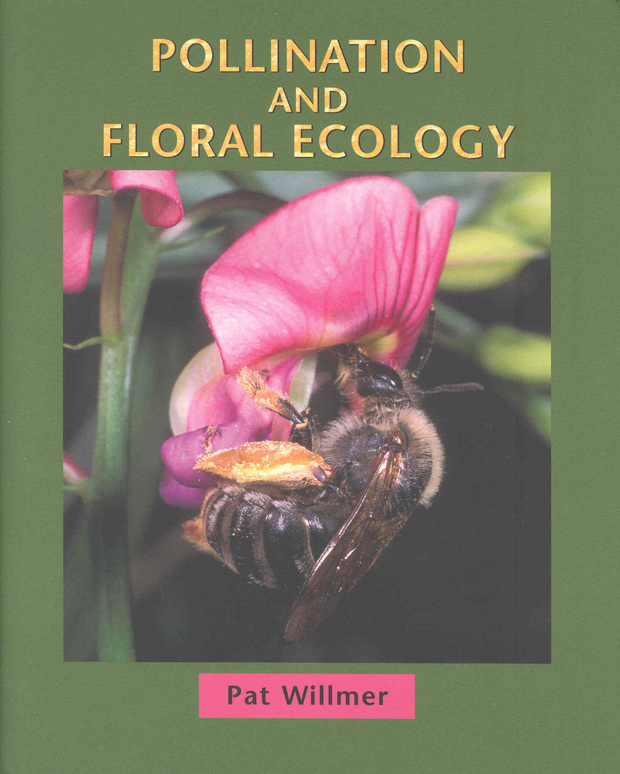 Treatments are represented as: C = intact control, −A = anthers removed, +P = pollen deposited (outcross pollen from a single donor on first day after onset of female phase), −A+P = anthers removed plus pollen deposited. Least squares means ± s.e. are shown. 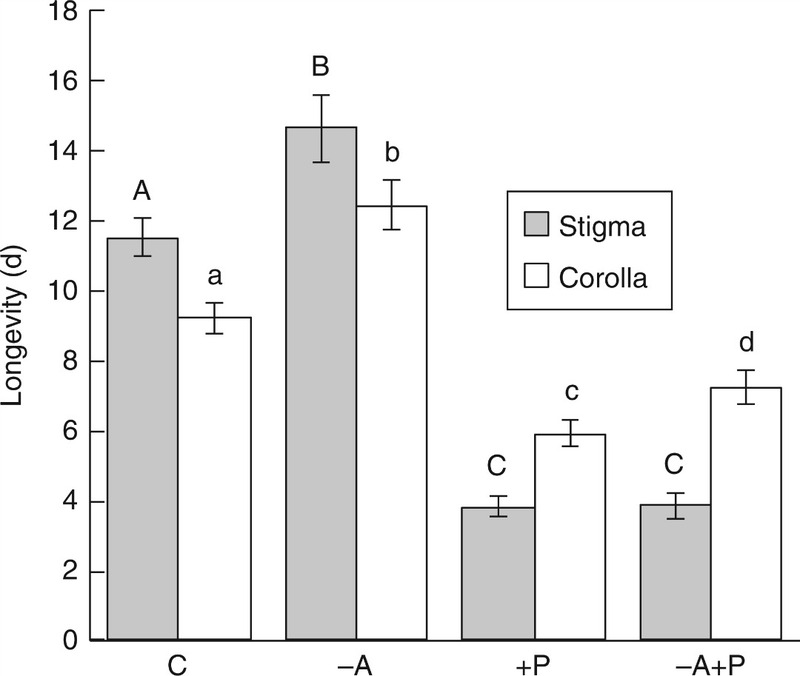 Different letters above bars indicate significant differences between treatments based on post hoc tests; capital letters are used for comparisons of stigma wilting and lower case letters for corolla wilting. 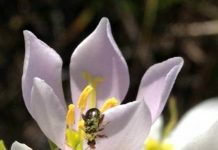 Longevity is shown to be influenced by the timing and amount of pollen deposited, but not affected by the source or removal of pollen, with implications for fitness. 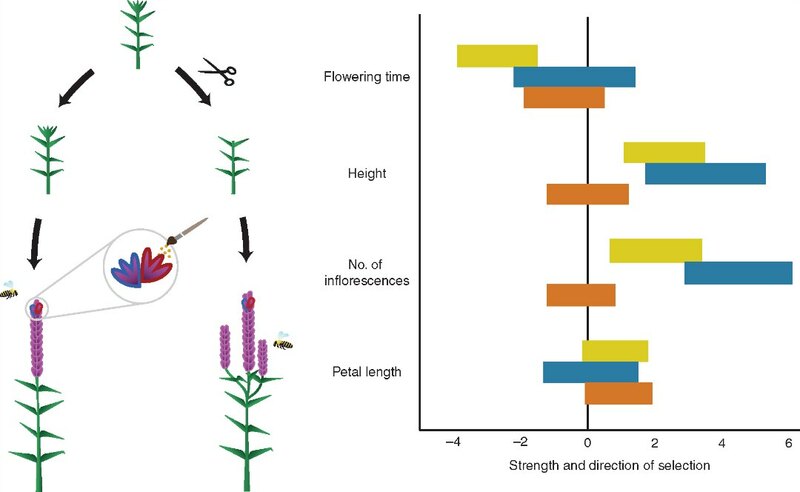 The study highlights the complexity of proximate factors shaping the plasticity of key floral traits, which govern successful pollinator attraction. 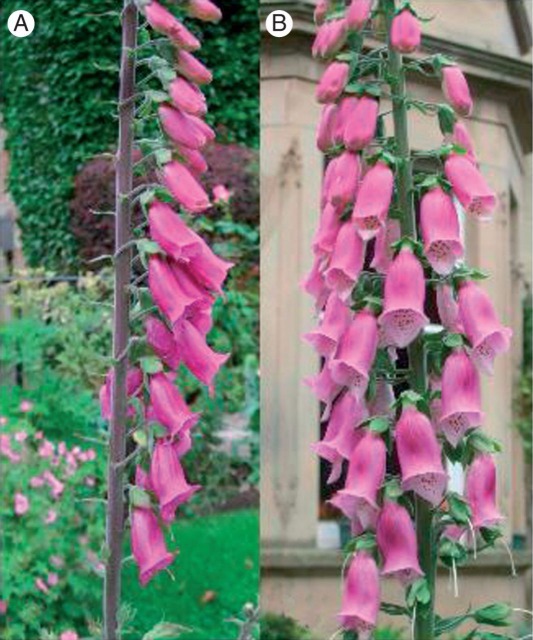 Why does the architectural arrangement of flowers vary among species?